The Jonas Brother's youngest member, Nick Jonas, was sidelined Saturday night before he was scheduled to play a show in Zurich Switzerland. The band was forced to cancel their concert due to Nick's upper respiratory infection. "We are sad to announce the cancellation of the Jonas Brothers concert for this evening in Zurich. Nick Jonas of the Jonas Brothers is ill with an upper respiratory infection of the nose and throat and the doctor has advised that he not speak or sing," The Jonas Brothers Tweeted on Saturday. "This is the first time that the Jonas Brothers have ever cancelled a show for sickness and deeply regret that they will not be able to perform as a group tonight." The brothers said they hope to visit the Swiss city again soon. "The band, the management, and the promoter apologize that the show must be cancelled on such short notice," they continued in their Tweet. "We will do everything we can to revisit Zurich in the future and perform for our wonderful fans." 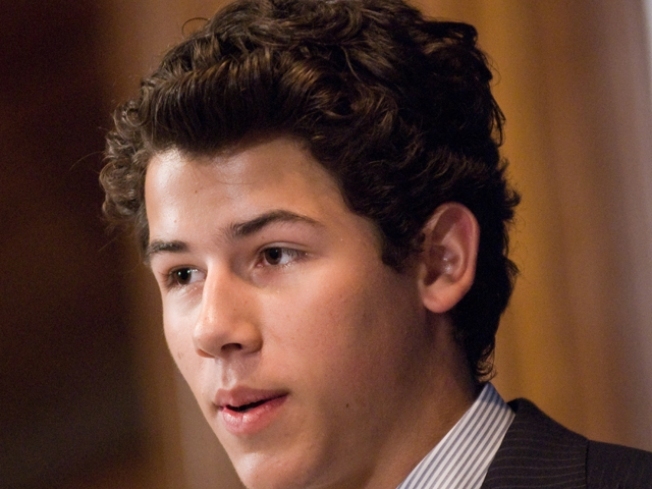 On Sunday, Nick appeared to be feeling better and thanked his fans for their well wishes. "I am happy to tell everyone that I woke up this morning, and I'm already feeling better!" Nick wrote in another Tweet. "Thanks for all the prayers. Can't wait to rock Bilbao!"